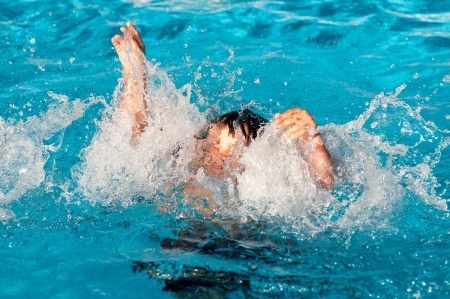 A nine-year-old boy died during a drowning incident at a swimming pool located in Poblacion, Itogon, Benguet on Sunday. The incident happened at the Level 1300 area in said town. The place which is popularly known as Trese is a favorite swimming spot for both the locals and visitors coming from Baguio City and nearby towns. The boy has been identified as Kurt Adrian Arguelles Ringor, a grade two pupil and resident of Sunny Side in barangay Fairview, Baguio City. Kurt Adrian was in the company of family and relatives who went for an outing in one of the resorts in Trese. According to local police, Kurt Adrian was found by a cousin of his at the swimming pool but he was already unconscious. He was immediately rushed to the office of the Itogon Fire Station for first aid. He was then brought to the Baguio City General Hospital and Medical Center but he was declared dead on arrival. Kurt Adrian only had a height of three feet. The swimming pool has a maximum height of five feet. According to the local police, nobody noticed when the boy went into the deep ends of the pool. It also happened that there was no watcher nearby. In light of the incident, visitors are being advised to always look out for their children when visiting Trese for a swim.